Prior to joining the Heart Network as executive director, Ann was the Health Systems Change for a Tobacco Free NY Project Coordinator covering Clinton, Essex, Franklin and Hamilton counties. 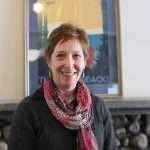 She has a Master of Science degree in Community Health Education from Southern Illinois University and over twenty years of community and other healthcare experience, including her role as Director of Community Health and Wellness at Canton-Potsdam Hospital and later at Adirondack Medical Center in Saranac Lake. 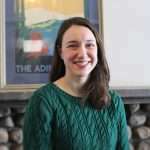 Andrea has an undergraduate degree in Sociology and Graduate Studies in Social Work and has worked for nonprofit agencies throughout her career, mainly with people of all ages diagnosed with chronic psychiatric disabilities and has always tried to incorporate activity and nutrition into the holistic plan of recovery. It was not uncommon to have programs centered around the importance of exercise like walking, hiking, biking, canoeing or kayaking and healthy nutrition. Andrea lives at the base of Cascade Mountain with the man of her dreams, her husband Bill and their children and pets. Lots of hobbies fill her free time as well as friends and family, preferring to be outdoors as much as black flies and below zero temps will allow. Katherine Haney, more commonly known as Kat, joins the North Country Healthy Heart Network as its School Coordinator after spending 10 years as a Library Media Specialist for Saranac Lake Central Schools. She holds a Bachelor’s Degree in Music Education from the Crane School of Music at SUNY Potsdam and a Master’s of Library Science from the University of Buffalo. 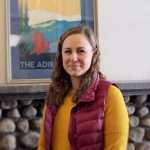 Born in Malone, where her parents still live, she is closely connected to the unique needs of North Country school districts. On her free time Kat can be found supporting community events and culture while trying to keep up with her energetic husband and two young daughters. She also enjoys gardening, cooking, sewing and numerous outdoor recreational activities. Jones joins the Heart Network after a recent return to Saranac Lake. She has an undergraduate degree in Psychology, and has spent most of her professional years in counseling and advocacy, to include working in child welfare, sexual assault services, community advocacy, and substance abuse counseling. She loves hiking, paddling, and snowshoeing with her dog. She is an active member of the NYS Army National Guard, and recently completed training to be an Army certified Combat Medic. Danyelle shares with her mother a favorite pastime of baking, and in the upcoming year will be joining in a joint venture with her mom to open a bakery & cafe in Saranac Lake. 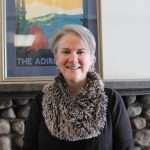 Randall joins the Heart Network as the Program Director for the North Country Chronic Disease Prevention Coalition. He attended Washington and Lee University in Lexington, VA where he received a Bachelor of Arts in Economics and Romance Languages. He received a Masters in Public Health from the University of Texas School of Public. Randall has spent his career working for nonprofits where he has focused on public policy and advocacy efforts at the local, state and federal level. He has worked on broad range of issues including civil rights, HIV/AIDS, Medicaid, drug addiction and treatment, and mental health. Originally from Upstate New York, Randall spent nearly 25 years in Texas. He returned to New York with his four dogs to enjoy the beauty of the Adirondacks. In his spare time Randall likes to spend time working in the garden and helping stray dogs find forever homes. Chris Morris resides in Saranac Lake, NY, and has a combined 13 years of experience in marketing, communications, and journalism, with a focus on mission-focused storytelling for nonprofits and community organizations. 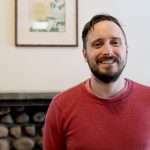 In journalism, Chris reported on rural affairs, politics, local government, and human interest for a variety of media outlets, from small weeklies in Vermont to North Country Public Radio in northern New York. 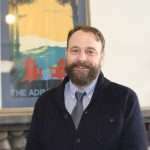 He spent five years overseeing communications and marketing at Adirondack Foundation, the community foundation serving the Adirondack region of northern New York. He’s worked with nonprofits large and small, including The Wild Center, Adirondack North Country Association, AdkAction, Songs at Mirror Lake, the Saranac Lake Area Chamber of Commerce, Dewey Mountain Recreation Center, the Adirondack Nonprofit Network, the Adirondack Diversity Initiative, and many more. He has a BA in Writing from St. Lawrence University. In his free time, Chris paddles and skis with his wife and two dogs, and plays trumpet and keys with his band.